The architectural achievements of the dreaded communist regime, once brick-and-mortar symbols of injustice to so many, now tend to be looked upon as vintage classics more and more often. The former Joseph Stalin Palace or the District Board of Labour Unions Building are among those awkwardly-named buildings that today can be considered iconic despite originating from the dark times of communism. As you can probably gather, the name of this former cinema built in 1959 in Szczecin means ‘outer space’. And that’s probably how far away from Communist Poland the people watching movies here were hoping to be transferred by the screen. The building in question was designed by Andrzej Korzeniowski, who gave it a simplistic and monument-like look. The sparing form nicely contrasts with the wonderful colourful mosaic by plastic artist Emanuel Messner that adorns the façade. The structure is currently under renovation, but, as a protected building, it’ll retain its original appearance. Once the works are complete, Korzeniowski’s building will house a modern cinema and theatre room as well as conference and exhibition spaces. This building designed by Marek Leykam was completed in 1955 and is widely recognised as a prime example of modernism in the city of Poznań. At the time of its opening, it was a state-of-the-art construction, the first in Poznań to have a ceiling heating system. Its cylindrical shape references the rounded edifice of the Sugar Industry Bank building that stood in its place before World War II. The bank was destroyed during the conflict and never rebuilt. In communist times, when shortages of all types of goods were a norm, Okrąglak served as a department store and as such had a reputation of being a particularly well-stocked one. The building, a listed monument, was tastefully renovated in the 2010s and presently houses offices. This design by Henryk Buszko, Aleksander Franta and Jerzy Gottfried conformed with socialist realism, the official aesthetic doctrine of the communists. This Katowice example was built in the first half of the 1950s and is somewhat similar to another iconic socialist realist building from that period, the Communist Party Headquarters in Warsaw. In communist Poland, the Katowice building served as the seat of various labour union organisations, e.g. the Board of Miners Labour Union in Poland. Today, it’s official name is the Marshal’s Office of the Silesian Voivodeship and is the workplace for the Silesian region’s clerks. The late Henryk Buszko, considered a great architect, once said about his structure in Katowice: "It was one of the few socialist realist buildings in Poland that wasn’t a caricature." 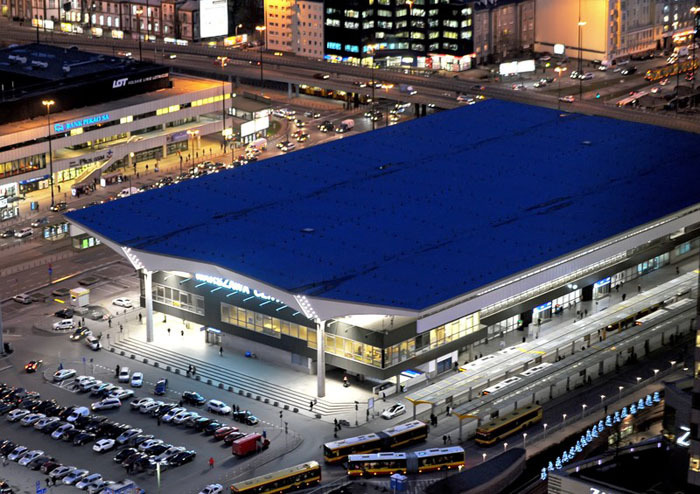 It took 1,100 days to build this structure, the name of which translates simply as Central Train Station. The construction was initially planned for much longer but was drastically speeded up to complete the building before the Warsaw visit of Soviet Union leader Leonid Brezhnev, planned for the end of 1975. The station had always been intended to be ultra-modern and showcase the capabilities of communist Poland - not showing it to such an important guest would have been a lost opportunity to make a big impression. The mission was indeed accomplished: Brezhnev, along with North Korean leader Kim Ir Sen and Polish leader Edward Gierek, got to see the station two days after it was opened on December 5 1975. Unsurprisingly, it wasn’t long before the many defects stemming from the builders’ rush had to be corrected. Today, many consider the modernist station designed by Arseniusz Romanowicz and Piotr Szymaniak a classic Warsaw building. Unlike Dworzec Centralny, this Kraków building took an exceptionally long time to construct – construction on Hotel Forum started in 1975 and ended thirteen years later in 1988. One of the reasons for it taking so long was the economic crisis that hit Poland after 1976. The building served as a hotel from 1989 until 2002, after which it basically became empty. Today, a hip coffeehouse operates on the ground floor – the rest of the hotel’s interior has been left unused. The late-modernist building was designed by a group of architects led by Janusz Ingarden and has been called by some a “legendary place”. People have praised the structure for harmonising with the line of the riverbank on which it’s located, and for its dynamic appearance. It has confirmed this respect by being one of the regular venues for the super-hip Unsound Festival. 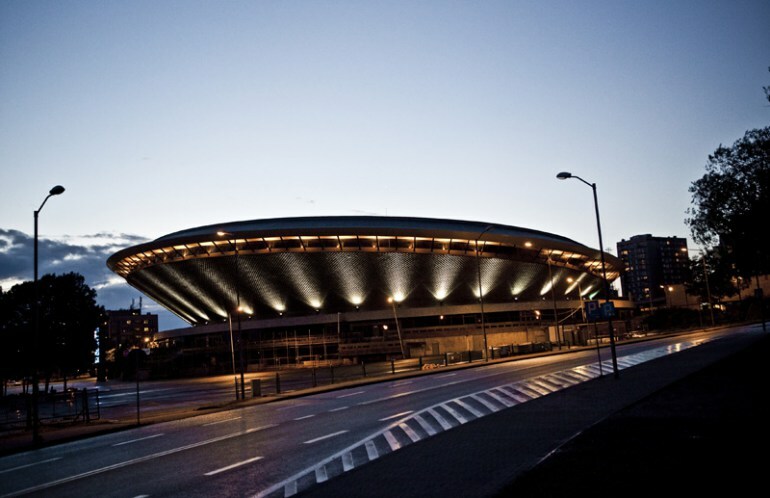 Translated as “The Saucer”, Spodek is a multipurpose arena in Katowice. It opened in 1971 with a grand concert for 12,000 people that featured the likes of singer Anna German. The name isn’t incidental as the structure’s shape really does bring to mind a flying saucer. This intriguing design is the work of Maciej Gintowt and Maciej Krasiński. Erecting Spodek posed quite a task as nearly 30,000 tonnes of earth had to be replaced in order to stabilise and properly prepare the site chosen for the building. Since its completion, Spodek has been a highly-recognised symbol of Katowice. It’s regularly used for large varied events such as international volleyball matches and even video game tournaments. Definitely one of the most controversial buildings in Poland, the Palace of Culture and Science was a “gift from the Soviet nation to the Polish nation” that the Poles couldn’t refuse. It was no wonder that so many people had a problem with it – it was even once called the Joseph Stalin Palace. Fortunately this name stopped being used in 1956, a year after it was built in the very heart of Warsaw. The location chosen for the monumental skyscraper, as suggested by the Soviets, was a truly devilish one – it seems you can’t turn your head in a Warsaw street without seeing the thing. It is often considered a despicable symbol of communist oppression but there’s no question that it’s a landmark of the capital. Its admirers point out that the socialist realist skyscraper by Soviet architect Lev Rudnev is a more-than-interesting sight and that, ironically, it’s quite similar to the iconic Empire State Building. Either way, the 237-metre-high palace is still Poland’s tallest building and today houses a whole gamut of things, including a swimming pool, a cinema, four theatres, two museums and plenty of office space. Smolna 8 was the first high-rise building created in Poland in the 1960s. Designed by Jan Bogusławski and Bohdan Gniewiewski, it was built in Warsaw on the site of a former ophthalmic hospital destroyed during World War II. Despite initial plans as a hotel for Poles living abroad visiting Warsaw, it became a high-standard residential building with a two-storey café on top called Akropol (unfortunately defunct today). Other than the unusual sort of “jaw” construction on the very top, one on the more macabre interesting things about Smolna 8 is that it was once a popular spot for suicides. Located at its most eastern point, Nowa Huta is the one district of Kraków that feels nothing like the rest of the city. 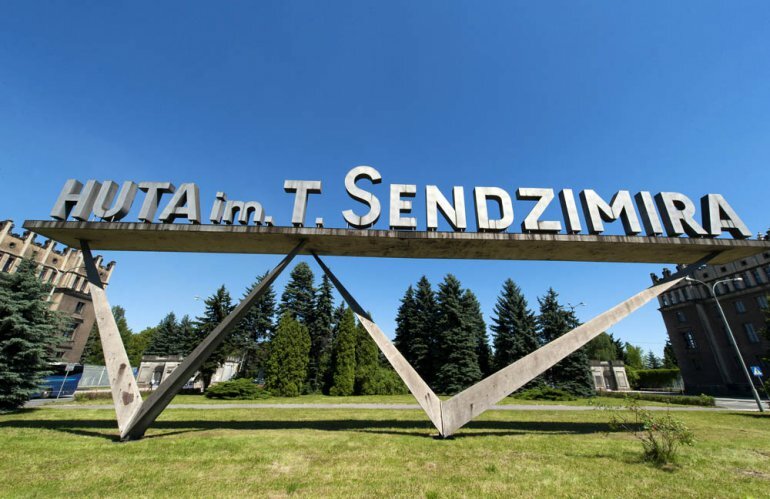 Built in the 1950s, it became a sort of city within a city, and was never actually finished, though it’s now considered a masterpiece of Polish socialist realism – the name itself reminds of the period, as Nowa Huta translates as “New Steelworks”. The main architect Tadeusz Ptaszycki and his team designed absolutely everything, from the buildings and streets themselves, to staircases and floors, all in an attempt to create spaces that encouraged friendly neighbourhood relations. Of course, in typical communist fashion, many blocks of flats were built in a rush to provide the steelworkers with places to live, and the utopian visions of the architects never really materialised. However, the area has become legendary and there are probably more stories about Nowa Huta than most medieval castles. Famously, it was also the location of the award-winning film Man of Marble by Andrzej Wajda.